Whatever you call it, vaper's tongue is not a fun situation to find yourself in. 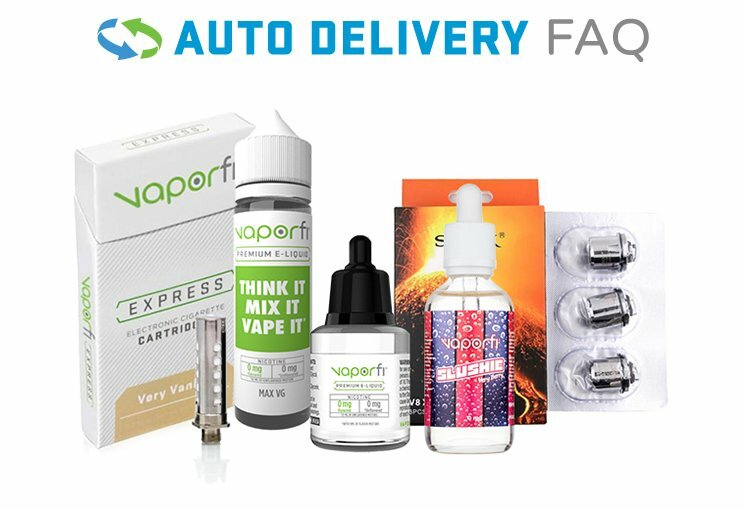 However, there several possible reasons why you may be experiencing a loss of flavor in your e-liquid, and if you can determine which one applies to you, then you’ll probably be able to fix the issue pretty easily. Unfortunately, vaper's tongue is is totally unpredictable. There are those who have been vaping for years and never experienced it, while a vaping newbie might feel the effects of flavor fatigue just days or weeks after switching to e-cigs. New vapers who recently stopped smoking traditional cigarettes are prime candidates for vaper's tongue. As you may know, smoking dulls your sense of taste, so when you start vaping your olfactory senses can initially get overwhelmed by the intensity of flavors.This can cause your taste buds to take a break for a little bit, as a way of dealing with the overstimulation. This can happen several times as your body transitions to being a non-smoker, and will typically go away as your body gets used to the change. The process of vaping can be dehydrating if you aren’t a regular water drinker. The solutions in e-liquid (PG or VG) attract and draw out moisture like a sponge, which means not drinking enough water while vaping can dry out your mouth. In addition, a thin film might form on your tongue, acting as a shield that blocks flavored e-liquid from reaching your taste buds. Do you have a favorite flavor that you vape all the time? It's hard not to play favorites when you find something you really like. However, too much of the same juice can desensitize your taste buds to a particular flavor. Basically, your brain gets so used to the taste of the e-liquid that it starts treating it like white noise and tunes it out. When you get sick, often the first thing to go is your sense of smell, which in turn renders your taste buds practically useless. Having a cold or sinus issues makes it nearly impossible to taste anything at all—vaping flavors included. If this is the reason behind your vaper’s tongue, the good news is that it will pass once you are feeling better. Sometimes e-liquid exhaustion has nothing to do with any of the reasons listed above—sometimes it just happens for no reason at all. This can be the most frustrating cause of flavor fatigue, and it feels like your taste buds randomly decided not to show up for work. With no rhyme or reason, it's best to just move onto the remedies. Once you figure out the possible cause behind your vaper's tongue, oftentimes the solution for curing it is obvious. For instance, if you are getting mildly dehydrated when vaping, then drink more water. Rotate e-liquid flavors. Mix up your repertoire of e-liquid every so often to avoid getting desensitized to a certain flavor. With a huge range of custom blended flavors there to choose from, you’re sure to find something you like. Brush your teeth. Oral hygiene is always a good idea, especially since build-up on your tongue can block vapor from reaching your taste buds. Yet another reason to listen to your dentist and brush those teeth! Give your senses a flavor shock. Sometimes all your senses need is jolt to get working again. Try vaping strong flavors like mint, menthol or cinnamon and see if that does the trick. Rinse out your mouth, Sometimes, your palate just needs to be cleansed, as a sort of “reset.” See if a strong minty mouthwash like Listerine helps. Smell some coffee grounds. Taking a whiff of coffee grounds is a trick commonly used by wine tasters and perfume experts. The smell of coffee can cause the olfactory senses to reset, which may help revive your taste buds. Lastly, if nothing else works, just wait it out. "Wait it out" might not be the answer you were looking for, but sometimes vaper's tongue is inevitable. Don't worry, though—eventually you will be able to enjoy the flavor from your vapor cigarette again. Flavor exhaustion is not permanent. With a little time and some fine-tuning when needed, your favorite flavors should return to the intensity they once had. To be proactive in getting rid of vaper's tongue or prevent it from happening in the first place, you should mix up your e-liquid regularly—something VaporFi is happy to help you with. With our almost 30,000 possible flavor combinations, your taste buds will never suffer from lack of variety again! Click here to learn more about custom e-liquid blends, and continue browsing our e-cig blog and resources to learn more about e-liquid and vapor smoking in general.